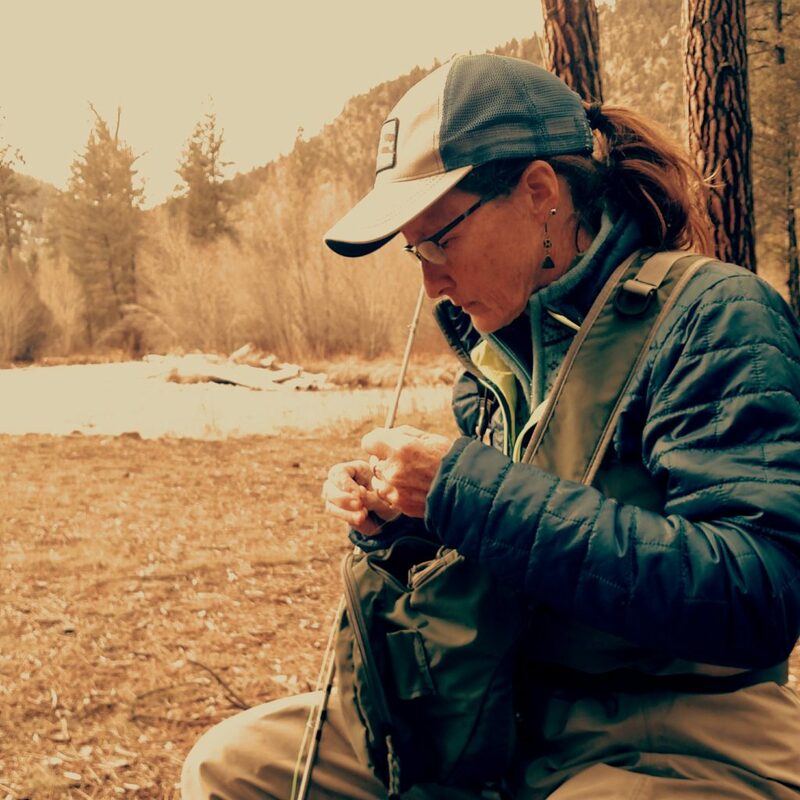 I have been fly-fishing since I was in college in Durango, Colorado, circa 1986. Started with a Sage Discovery Series rod/reel combo on the Delores river. We would fish this spectacular river about every weekend during school. 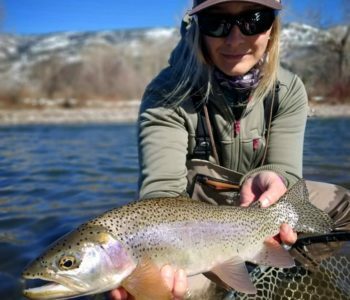 The Animas and San Juan rivers were also favorites during this time. My favorite fly-fishing partner has always been and continues to be my partner and best friend, John Herzer. This question is almost impossible to answer. 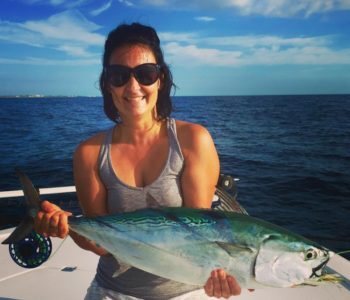 I love to experience new places, which can be difficult since I've been fishing for a good portion of my life! Seeing a new river for the first time and trying to figure it out is something I truly love. If I had to choose a particular river or piece of water, it would definitely be the Big Hole River. I love the terrain and color of the water on the Big Hole--and, of course, the trout. Spectacular! 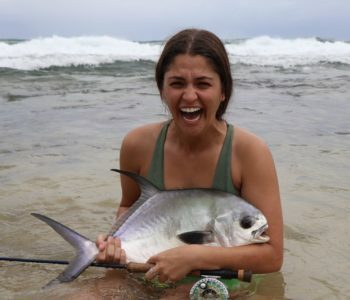 I love to fly fish for anything that I can see : rising trout, tailing bonefish, flats permit. Casting to any fish that I can see and "hunt" is definitely my favorite thing, regardless of the species. Sparkle Minnow, Royal Wulff, San Juan Worm. I have been fly-fishing for more than 30 years, and still look forward to any chance I get to step into a river or flat to fish. 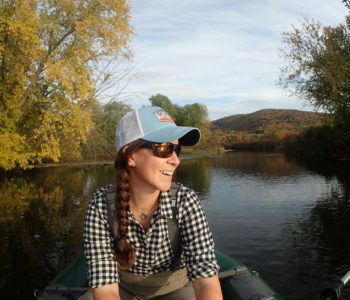 I started fly-fishing when I was 20 because I fell for a guy who loved to fly-fish. If I wanted to spend any time with him, I needed to figure out how to do it. (He wasn’t a great instructor, by the way. I certainly didn’t fall in love with the sport immediately because of the frustration caused by casting, the insane knots (not the kind you tie, but the kind you untangle), line control, fly selection, tippet size. . . I could go on and on. 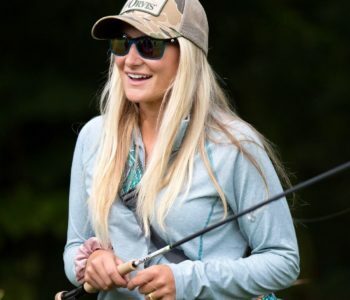 I still understand why folks are so intimidated by this sport: there’s a lot going on in fly fishing. But I know now that’s it’s so worth all those hassles and frustrations. 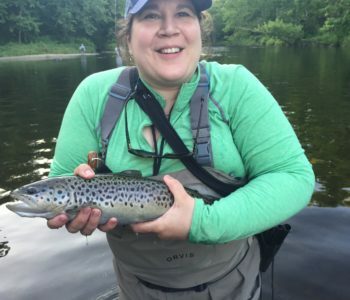 I overcame most of the hurdles in fly fishing and came to love it. I moved to Missoula, Montana, shortly after graduate school and knew I would never leave. 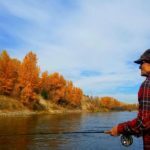 Missoula is a fly-fishing Mecca, with over 400 river miles to fish within an hour’s drive of town. What’s not to love? I now own Blackfoot River Outfitters in Missoula with John Herzer (the guy who stayed with me through all stages of my fly-fishing story). 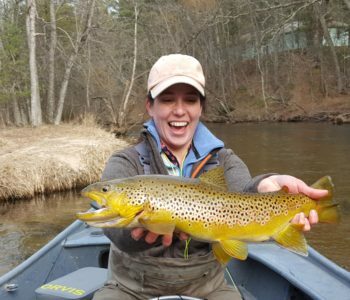 We take lots of folks on our rivers who have never fly-fished and want to experience this incredible sport. 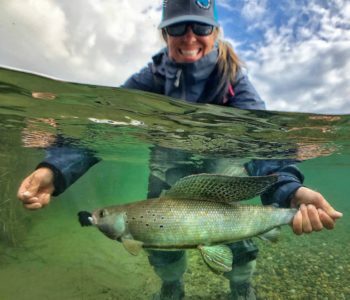 My “job” provides fulfillment and happiness in knowing that the people we introduce to fly fishing will experience something unlike anything they’ve ever experienced before, and I’m not even talking about the trout they may or may not catch. 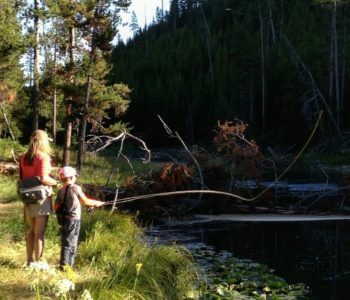 Fly fishing is so much more than that. I’m lucky and grateful in so many ways, but sometimes I think I’m mostly grateful that I became an angler. The ability to grab my rod and run out to the river for even an hour of fly fishing is something I cherish.